Whether your home’s current siding looks a little worn or you simply want to do a home renovation, new siding can really improve how your home looks on the outside. But quality siding should do more than just make your home look pretty. It should also allow your home to weather any storm that comes its way. At Beissel Window & Siding, our contractors can install steel siding on your home to make it both beautiful and functional. Steel siding never fades. You can choose from dozens of colors and the material will hold the same tone over time. Steel siding is easy and fast to install, especially because it won’t crack. Our contractors can also install it any time of the year. Steel siding reflects radiant heat, so your home stays cooler during the summer and warmer in the winter. Steel siding reduces the total amount of wasted materials from a home improvement project. The panels are cut to the exact length of your home, so we don’t waste any of it. Should we make a mistake when cutting the siding, we can recycle the excess into new panels. Additionally, steel siding lasts much longer than vinyl or other materials. If you properly care for your steel siding, it will last 40 years or more. Since 1950, our expert contractors have installed siding on homes across Minnesota. We want you to make the best choices possible for your next home improvement project, so we offer the greatest variety of products available on the market. Your satisfaction is our top priority. As you work with our professionals, you’ll see why we’re a leading company in the home improvement industry. Though our family-owned and -operated business is based in West St. Paul, we service homes in St. Paul, MN; Minneapolis, MN; and elsewhere in the region. Call us today at 651-451-6835 to schedule an installation or to learn more about steel siding. 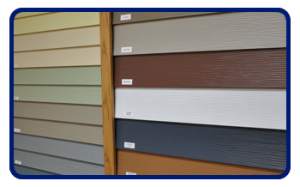 We offer siding in many colors, styles and textures for every home and budget. It is also weather, insect, moisture and fungus resistant with a lifetime limited warranty. Vinyl siding is one of the most popular options. Have the home you’ve always wanted using creative siding and trim designs. For a FREE quote on Siding & Trim, please call or email us today!